From Trenton Magazine, Curator Karl Flesch has compiled images of advertisements from dozens of Trenton stores with their suggested gift ideas. 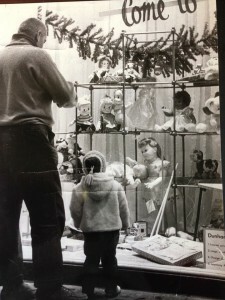 The exhibit brings back memories of the Christmas decorations put up by the city in the 1940s, 50s and 60s and the many department and other stores that people came from all over to visit and shop in for the holidays. 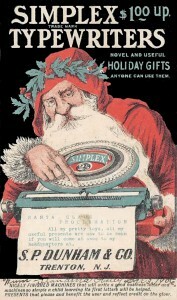 Gift boxes found under many an area Christmas tree are included in the display from stores such as R.A. Donnelly, Mason’s, Dunham’s, Lit Brothers, Nevius Voorhees, Arnold Constable and others. 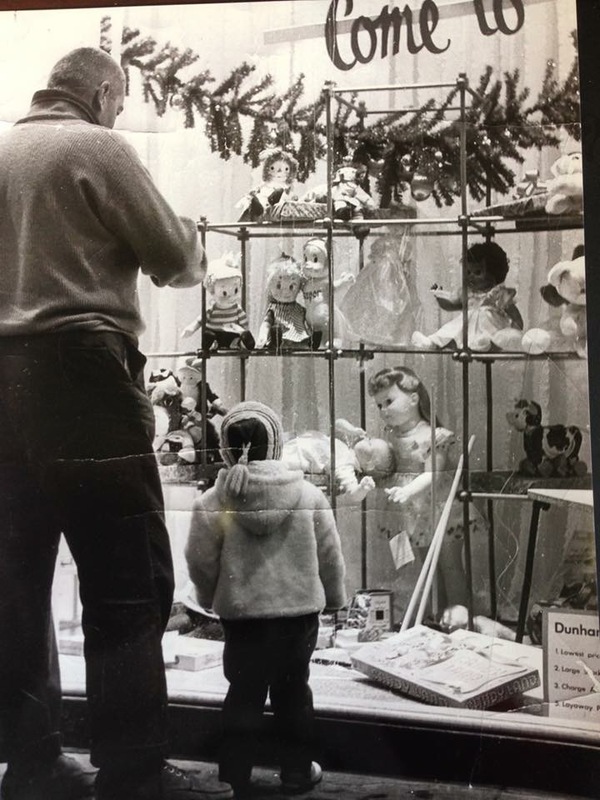 The exhibit also features a ventriloquist doll made by Trenton doll manufacturer Horsman and a 60th anniversary edition Slinky that was made originally with Roebling wire. Nostalgic, vintage Christmas decorations complete the display. On the first floor a Boehm Nativity set is on display along with one of the original boxes. The exhibit was curated by Trenton Museum Society trustee, Karl Flesch. Artifacts in the exhibit were loaned by the curator, Joe Ozga and the Trenton Free Public Library. Photos are used by permission of Duke University which maintains the R.C. Maxwell photo collections, and others.